Traffic tickets for moving violations are on the rise in California, largely due to technology such as red light cameras. While it can be an inconvenience to get that traffic ticket in the mail, paying that ticket without asking for legal advice could open the door to even more consequences. Your insurance could increase. You may get points on your driving record, affecting you even more if you already have minor offenses on there. 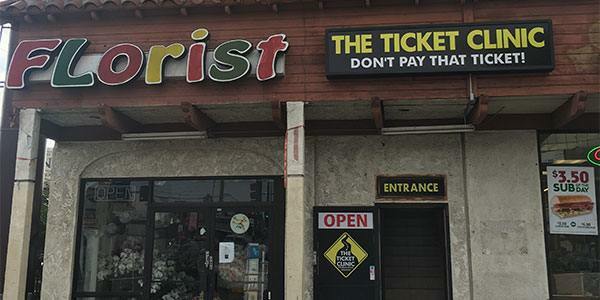 Paying the ticket is akin to entering a guilty plea. There are many different types of traffic tickets in West Los Angeles. You may get assigned a violation for an illegal U-turn, speeding or for running a red light. The reasons for the tickets are different but the consequences are similar. A traffic violation increases the number of points on your driving record and may run the risk of a suspended license or expensive violation fees.At The Ticket Clinic, we offer a free consultation from a West LA traffic ticket lawyer to help you understand your rights, the consequences and your options. To keep tickets off your driving record, you must first know how to get rid of a traffic violation. These violations are part of a complex legal framework. It is important to know how the law works, for example, what documents an officer must present to the court when assigning a traffic violation, if you want to get a violation dismissed. This is why we developed a 22-step checklist procedure that we offer alongside our legal expertise. The step-by-step procedure is a starting point to identify any gaps in the assigned traffic violation. It may be possible to dismiss a violation if it was assigned in an unethical speed trap or if you were unfairly targeted by an officer. Let a team of real people show you how to get out of a traffic ticket in West Los Angeles using the power of the law. It is important to protect your rights as a driver and to not let driving violations hold back your career and life plans. It may seem the law is working against you when you get a traffic violation. But with the legal expertise of The Ticket Clinic asking the right questions, developing defense strategies and if necessary, representing you in court, the power of the law works for you and keeps you on the road with a clean driving record. Why Choose The Ticket Clinic to Fight Your Ticket? The Ticket Clinic employs real lawyers to explain the process and prepare your defense. Some ticket fix it firms use robots or apps, then refer you to a West Los Angeles traffic attorney when and if you go to court. In our process, your case is reviewed by Silver Lake traffic ticket lawyers from the start. When you make an appointment with us, a red light camera ticket lawyer gives you a 22-item checklist of the information the officer must present in court. If the ticketing officer doesn’t have all the information needed to take your case to court, we work diligently to find the best possible solution. If you’re one of the thousands of people who received West LA red light tickets or are facing another moving violation, call 1-800-CITATION or contact us online to get more information about our legal services.